Mahindra has announced its plan to invest Rs 500 crores at its Chakan plant to develop and produce electric vehicles and related components. As can be judged from Mahindra’s showcasing at the 2018 Auto Expo, the company is betting big on electric vehicles. 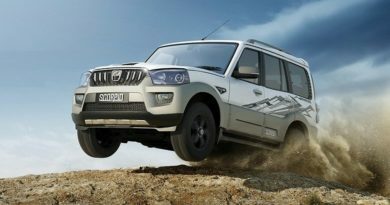 Presently, there are two models in the Mahindra line-up that are all-electric. Moreover, the new eKUV100 was also unveiled at the Auto Expo. 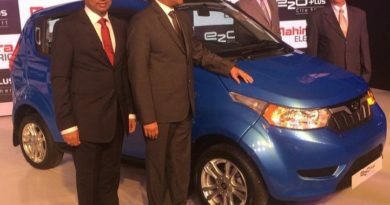 Mahindra eKuv100 is expected to be launched later this year. The company also plans to add a fourth electric vehicle to the lineup by next year. This announcement of investment comes shortly after the Maharashtra government announced it Electric Vehicle Policy. According to this, no road tax will be levied on registration of electric vehicles in Maharashtra. Moreover, the government also announced to provide electricity to the charging stations at a subsidized cost.